LENT EXHIBITION CURATED BY CHARLES MACCARTHY. Thelma Ayre, Sara Bamford, Richard Bavin, Julian Bell, Carolyn Blake, Julienne Braham, Nicholas Bush, Ruth Cameron-Swan, Susie Cawley, Yvonne Crossley, Ken Eastman, Sandra Elliott, Megan Ellis, Susannah Fiennes, Eugene Fisk, Mary Ann Gelly, Alison Grimley, Lois Hopwood, Nicky Hopwood, Christopher Kilmartin, Guy Lester, Ciara Lewis, Jacob Luke Hughes, Vivienne Luxton, Roger Luxton, Charles MacCarthy, Daniel MacCarthy, Sophie MacCarthy, Pete Mackenzie, Kate Milsom, Tania Mosse, Allison Neal, Lottie O’Leary, Silvia Pastore, Roger Percival, Alex Ramsay, Susannah Royle, Carmel Stephens, Jane Tudge and Bronte Woodruff. Iimages of castles or hill forts. The exhibition showcased over 20 contemporary artists’ response to the theme of castles. The participating artists: Graham Arnold, Tim Craven, Simon Dorrell, Peter Davies, Diana Craven, Fiona McIntyre, Robert Amesbury Brooks, Peter Jarvis, Pauline Bullard, William Vaughan, Nick Schlee, Howard Phipps, Richard Bavin, Annie Ovenden, Tamsin Abbott, Nick de Serra, Celia de Serra, Gareth Rees-Roberts, Kate Cochrane, Alison Woodhouse, Lois Hopwood, Owen Rimington, Guy Lester, Ciara Lewis, Shelagh Popham, Alison MacGregor Grimley and Susannah Royle. Susie Arbuthnott, Simon Dorrell, Alison MacGregor-Grimley, Ruth Kirkby, Keith Noble, Colin Simmonds, Lois Hopwood. A celebration of the intriguing and complex life of Thomas Merton at St Michael's Church in Discoed. An exhibition explored some of the many facets of the poet-monk through paintings, photographs and text plus an afternoon of talks. The exhibition consisted of paintings by Charles MacCarthy and Robert Wright inspired by the life and work of Thomas Merton. Also in the exhibition were Thomas Merton's photographs and a display illustrating some of the many aspects of his life. Friday 24th July St Andrew's Hall in Presteigne: Two films of Merton’s life “The Journey of Thomas Merton” and “The Last Days of Thomas Merton”. On Saturday 25th July a series of talks by eminent speakers exploring Merton's life at St Michael's. Esther De Waal is an Anglican scholar of the Benedictine and Celtic traditions of Christian spirituality and has written many books on these subjects including On Thomas Merton as well as lecturing widely. Michael Woodward is a poet, teacher, founder of the Three Peaks Press and an authority on Merton. This fourth Contemporary Ceramics exhibition featured some of the most eminent ceramic artists and makers from all over the country and showcased a wide range of ceramic forms, techniques and finishes. Exhibitors: David Allnatt, Adrian Bates, Bev Bell Hughes, Rebecca Buck, Stephen Foote, Margaret and David Frith, Carolyn Genders, Nick Marsh, Eric Moss, Jeremy Nichols, Richard Phethean, Micki Schloessingk, Lara Scobie, Patricia Shone, James and Tilla Waters and Rachel Wood. THE THEME OF CHRIST'S 40 DAYS IN THE DESERT. 'This year's show takes the theme of Christ's 40 days in the wilderness as its starting point and expands on it to include other scriptural stories of isolation - physical, psychological and social'. The participating artists were: Carolyn Blake, Julienne Braham, Simon Dorrell, Nicky Hopwood, Lois Hopwood, Andrea Mclean, Charles MacCarthy, Dan MacCarthy, Tania Mosse, Allison Neal, Roger Percival, Mandy Pritchard, Alex Ramsay, Susannah Royle and Bronte Woodruff. The exhibition supported the mental health charity Herefordshire Mind whose approach is based on recovery, wellbeing, inclusion and the removal of stigma http://www.herefordshire-mind.org.uk/ . Seren Bell, Carolyn Blake, Julienne Braham, Simon Dorrell, Shan Egerton, Lois Hopwood, Ruth Kirkby, Guy Lester, Ciara Lewis, Charles MacCarthy, Dan MacCarthy, Alison MacGregor Grimley, Tania Mosse, Shelagh Popham, Owen Rimington, Anthea Stilwell, Peter Stilwell, Jane Tudge & Bronte Woodruff. Hortus editor David Wheeler, of Bryan's Ground, talks about his wanderings in search of gardens among Istanbul's sprawling population of 15 million people. Gas masks not required. David is the founder and editor of the literary gardening journal Hortus. He is also the author of several books, including Over the Hills from Broadway: Images of Cotswold Gardens, and the editor of horticultural anthologies, including The Penguin Book of Garden Writing. In 2009 he was awarded the RHS Gold Veitch Medal "in recognition of services given in the advancement of science and practice of horticulture". Discoed resident Benji Kirkpatrick takes time off from multi award winning band Bellowhead, to celebrate Independence Day with us at St Michael's. Enjoy cabaret seating while you relax with the sounds of bouzouki, guitar and banjo and songs from the heart, tradition and Jimi Hendrix. The Dragonfly Ensemble; Marcia Crayford violin, Lowri Porter violin, Susie Meszaros viola and Moray Welsh cello will perform this beautiful and profound work. For 25 years Marcia Crayford was leader of the Nash Ensemble which has a remarkable worldwide reputation for its performances of a wide range of music. Marcia was Co-Artistic Director and leader of the Mid Wales Chamber Orchestra. She has since formed The Dragonfly Ensemble,a flexible chamber music ensemble, whose members are all distinguished musicians who have held key posts in many of the country’s top orchestras and chamber groups. "The Seven Last Voices" by Michael Dennis Browne, to accompany the performance, will be read by Revd Preb Stephen Hollinghurst. Andrea and Llew are both artists with Bipolar. Andrea will talk about 'From Wilderness to Well-Being' reflecting on the process of art making and how this positively relates to recovery from mental distress. She will discuss mapping images as an art form and how it can help bring about connectivity and inclusion as part of a healing journey. Andrea is currently taking part in the Way of the Wilderness exhibition at St Michael's (see image below). Llew will give an artist's talk and discuss his work with reference to Bipolar. Anna will describe working with a wide range of clients' issues covering physical, emotional and cognitive difficulties. The talk is timed to coincide with the current Way of the Wilderness exhibition at St Michael's Church. Stanley Spencer (1891-1959) was a significant British artist whose altering circumstances and condition are reflected in his artworks. His strong sense of place during his early years in Cookham and the sense of disorientation during wartime are both demonstrated in his very personal vision of Christ in the Wilderness series. Spencer, who was knighted in June 1959, courted controversy with his vivid pictorial conceptions of religious subjects which in turn brought him high praise and also heavy criticism. In discussion will be key paintings from the series which provide an inspiring and thought provoking reflection on Christ's forty days in the desert during this period of Lent leading up to Easter. "In a sequence of Lenten paintings, a group of artists have recreated the sharing of meals in the Old and New Testaments. The resulting work has startling theological and iconographic depth." The 2012 Lent exhibition of The Stations of the Cross demonstrated clearly the very special qualities which St Michael’s Church offers for showing paintings in a way in which the church itself –the light, the space, the proportions, form an integral part of the whole exhibition. Following on from that exhibition we decided for Lent 2013 to create a sequence, also of fourteen subjects, centred around another major event in the Passion story – The Last Supper. Paintings: Thelma Ayre, Seren Bell, Simon Dorrell, Lois Hopwood, Ruth Kirkby, Guy Lester. Ceramics:Tony Hall, Corinna Kenyon-Wade, Rachel Padley. Woodcuts: Jonathan Heale. Stained glass:Tamsin Abbott. Found materials: Max Suffield. Stone carving: Caitriona Cartwright. Bronze Sculpture: Patricia Northcott. Etching and engraving: Anna Ravenscroft. As an off site event for the Hay Festival, a very contemporary exhibition of ceramics is held annually in the ancient former shepherds church of St Michael's. The exhibiting ceramicists: Sue Binns, Jason Braham, Clare Crouchman, Lowri Davies, Stuart Houghton, Corinna Kenyon-Wade, Gill Laverick, Wendy Lawrence, Sophie MacCarthy, Susan O’Bryne, Nicola Richards, Bryony Rich, Kate Schuricht, Colin Saunders. Violinist Marcia Crayford and cellist Moray Welsh with four outstanding young professionals from Sinfonia Cymru perfomed Spohr String Sextet in C major Op. 140 Handel/Halvorsen Passacaglia for Violin and Cello (Marcia Crayford & Moray Welsh) Brahms String Sextet in B flat major Op. 18 (Marcia Crayford violin and Moray Welsh cello with Sinfonia Cymru musicians Charlie MacClure violin, Tetsuumi Nagata and Laurie Anderson violas, Rosalie Curlett cello). 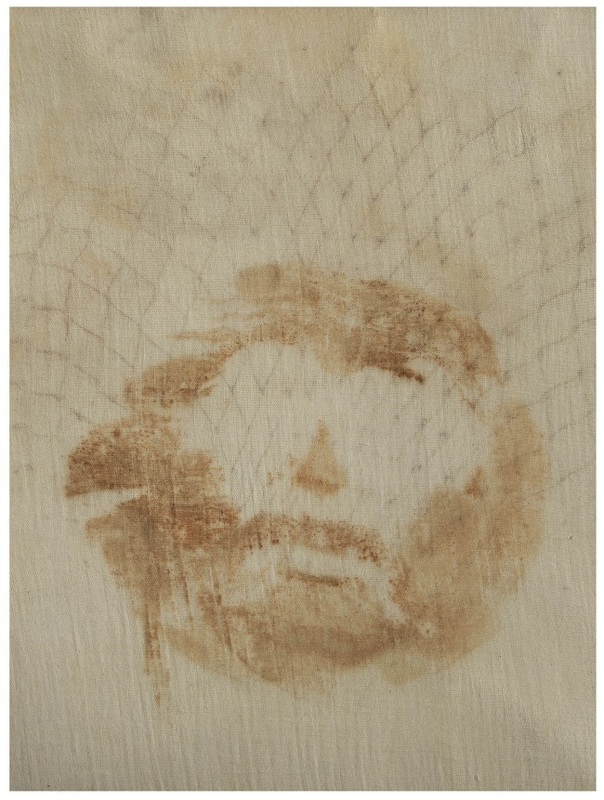 "In original exhibition during Lent in a Welsh country church of the 14 Stations of the Cross each created by a different artist is drawing visitors from far and wide to the highly individual perspective of the story of the Crucifixion that they portray." Tennyson’s “Enoch Arden” with music by Strauss and “Babar the Elephant” with music by Poulenc performed by actor Christopher Good and Roger Nicholls, pianist. The evening was opened with an introduction by Michael Kennedy of the Daily Telegraph and leading expert on Strauss.The event was held in celebration of the Michaelmas Wakes. The writer and editor Dr Ronald Blythe talked about his book 'The Time by the Sea' in which he recalls his early days at Aldeburgh in Suffolk with Benjamin Britten, one of the central figures of 20th century music. The soprano, Elisabeth Priday performed several of Britten’s songs. The event was part of Michaelmas Wakes celebrations at St Michael's.